Small textile operation based in Louisville, Ky. Designed and sewn by Austin Koester. Devoted to the timeless elements of functionality and logical design, everything is stitched to last a lifetime. 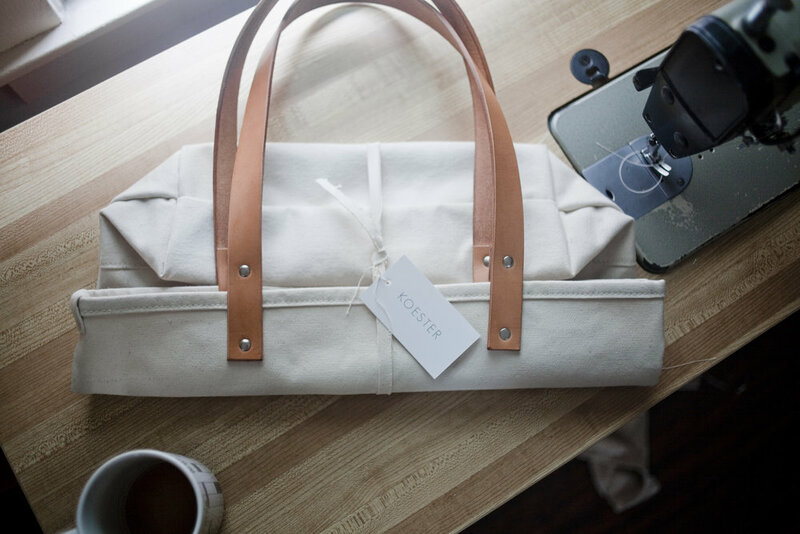 With strength and durability at the forefront, we primarily make our items out of canvas and locally sourced leather hides. However, we are always on the lookout for new materials that pique our interest. Everything is handmade to order. We ask customers to allow 3-4 weeks for the completion of any product. Wait times may fluctuate based on demand.